Church Health’s signature event is ready to rock! Join the fun as national sensation The Black Jacket Symphony headlines the party, recreating hits from The Rolling Stones, with Mark Edgar Stuart opening the night. 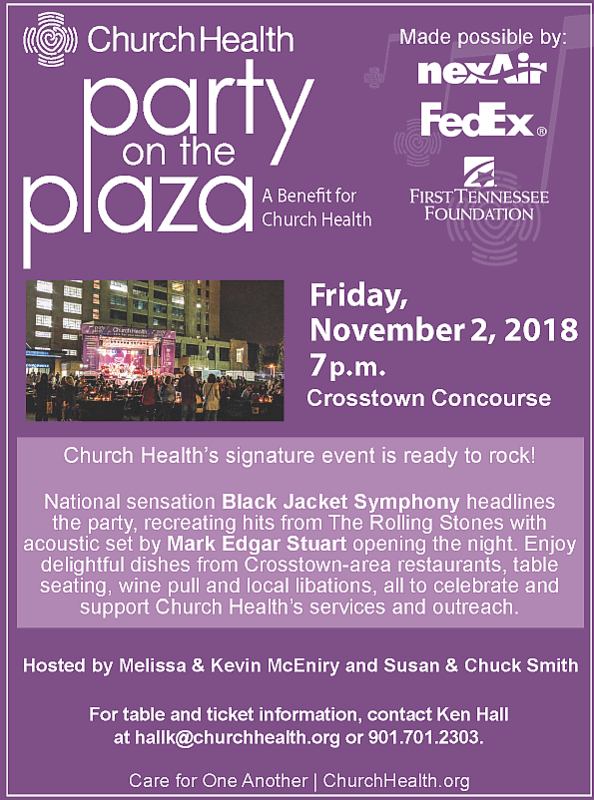 Enjoy delightful dishes from Crosstown-area restaurants, local libations, table seating and a wine pull, all to celebrate and support Church Health’s services and outreach. Table seating is $2500 per table or $250 per seat. 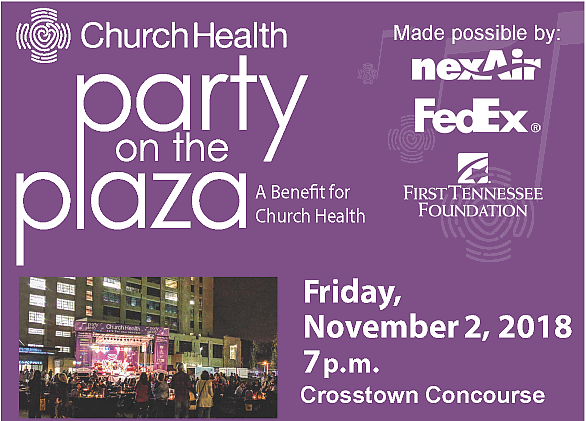 Contact Katie Bailey at baileyk@churchhealth.org or 901-701-2150 for ticket or sponsorship information.